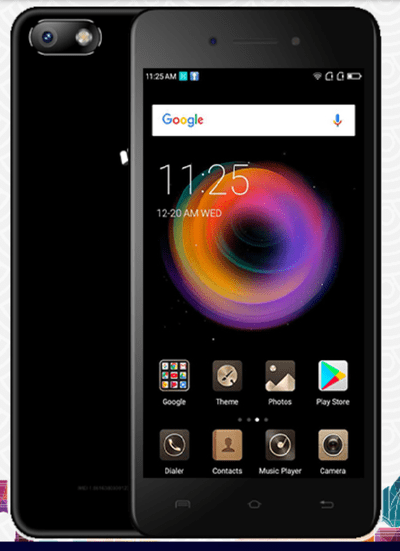 The indigenous mobile makers Micromax is back with their newest product named Micromax Bharat 5 plus, succeeding the December's Bharat 5, a budget smartphone with entry level features. India bears a decent market for inexpensive gadgets and Micromax is simply following the crowd. One good thing about the phone will be its whopping 5000 mAh battery which can also be used as a power bank to charge other electronic devices, as advertised on the official website. The newbie sports a 5.2-inch HD display with 2.5D curved glass, matching its predecessor Bharat 5. In terms of optics, the phone sports an 8MP rear panel camera with Beauty, Bokeh, Time Lapse, Panorama, and Watermark features. Plus, it comes with a selfie snapper of 5MP that offers an 83.3 Degree wide angle lens to include all on the same snap. Powered by MediaTek 1.3GHz quad-core processor the phone comes coupled with 2GB DDR3 RAM and 16GB internal storage. The phone also offers an expandable storage option up to 64GB. As for connectivity, the phone proffers OTG support, 4G VoLTE, Bluetooth, GPS, and Wi-Fi 802.11b/g/n. Although the phone has been listed on their official website, Micromax has not released an official launch date. Expectedly, information on its price is also no-show. However, selected third-party sites have already started selling the gadget at a cost of Rs. 7399 on Amazon India. Now given that the phone has striking similarities with its former variant, the jump from Rs. 5555 to Rs. 7399 is a little too much. Except for RAM size and 8 MP rear camera (Compared to Bharat 5's 5MP rear camera), the phone seems to be a carbon copy. So if you are thinking of buying a smartphone that won't burn a hole in your pocket, you may want to look at Xiaomi's and Nokia's low budget line up. So if you are thinking of buying a smartphone that won't burn a hole in your pocket, you may want to look at Xiaomi's and Nokia's low budget line up.